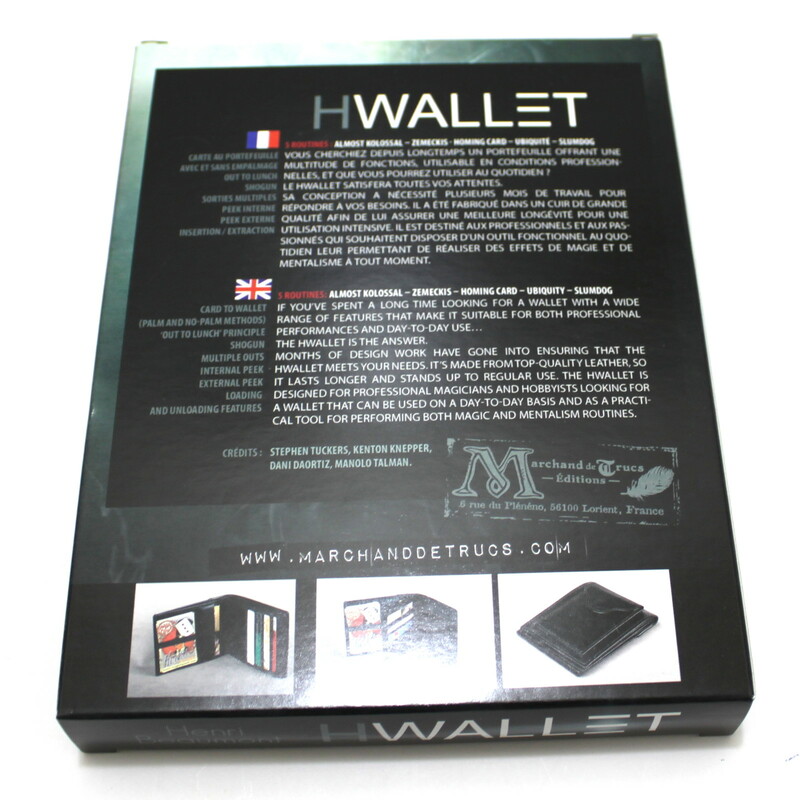 The HWallet is the answer. 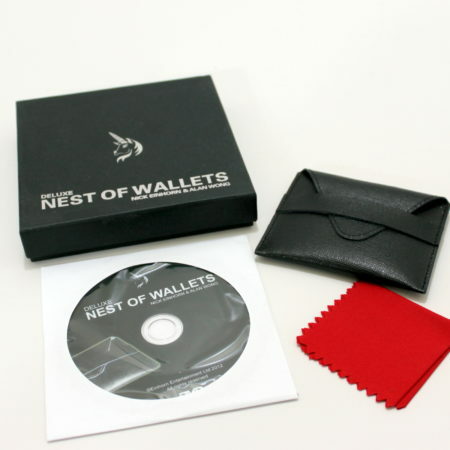 Months of design work have gone into ensuring that the HWallet meets your needs. 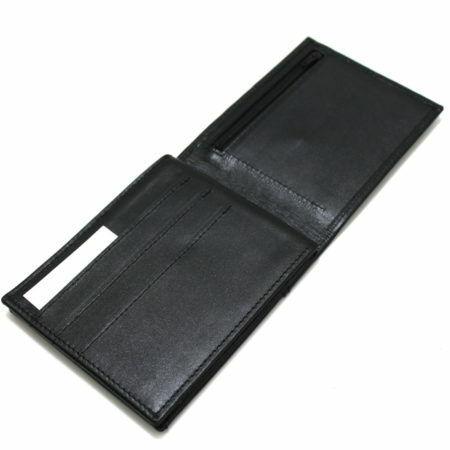 It’s made from top-quality leather, so it lasts longer and stands up to regular use. 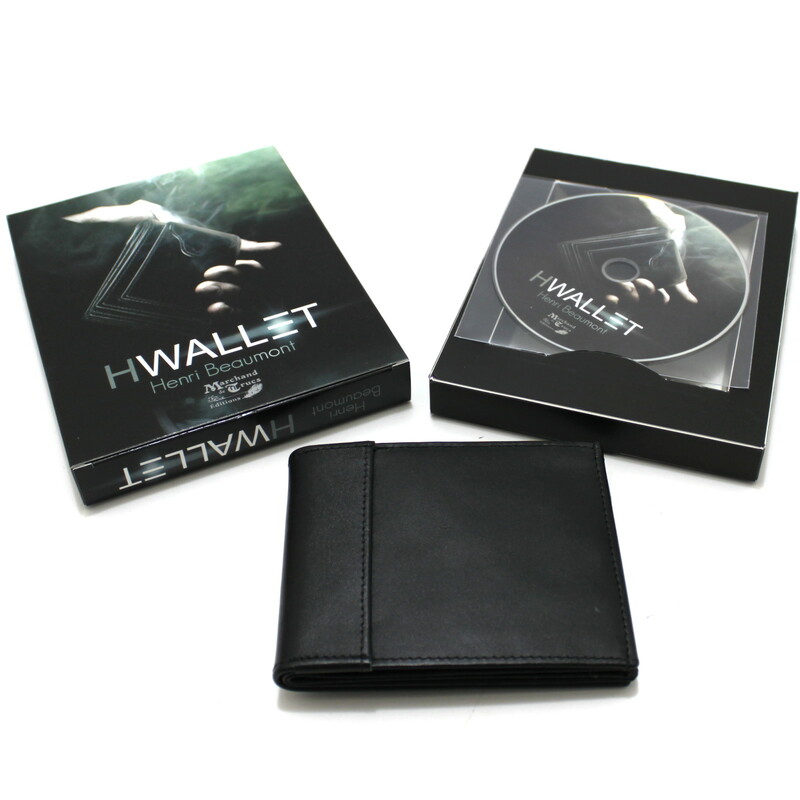 The HWallet is designed for professional magicians and hobbyists looking for a wallet that can be used on a day-to-day basis and as a practical tool for performing both magic and mentalism routines. 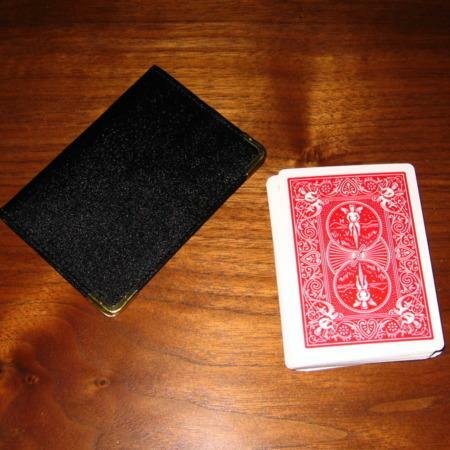 SUC principle used with kind permission by Mark Strivings. 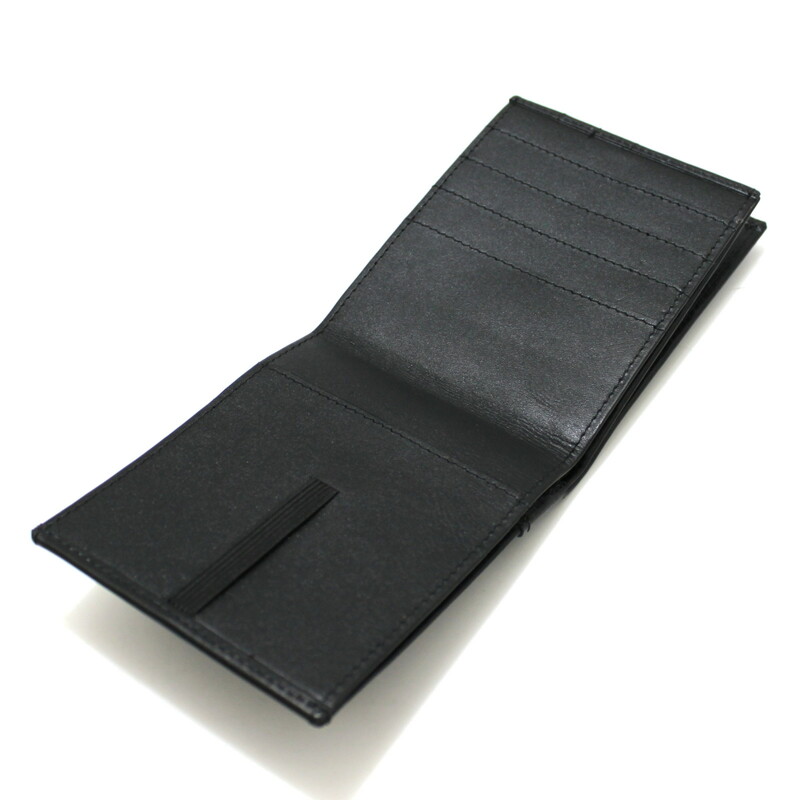 It turns out the HWallet is a wonderful multi-purpose wallet that is made of a fine, top-quality leather and is easily strong enough to be used as your everyday wallet. 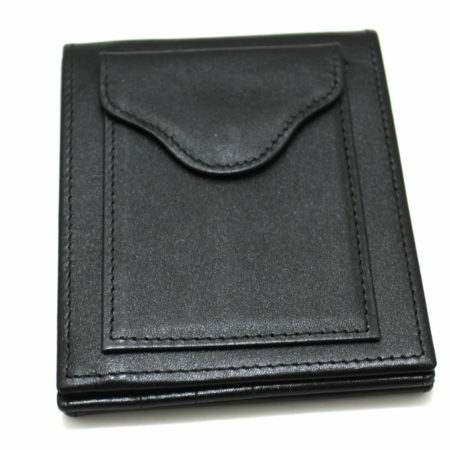 It has plenty of spaces for credit cards and cash and won’t look out of place like some magic wallets do. 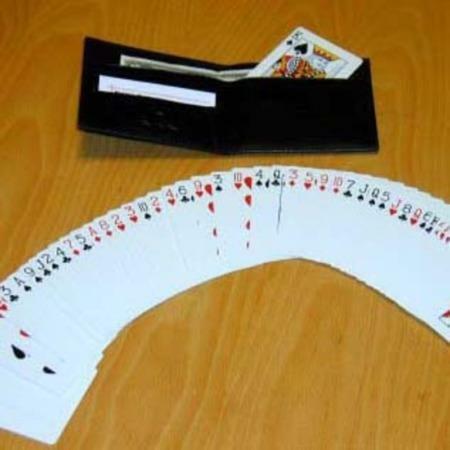 It has pretty much all the magical and mentalist features you can imagine including: card to wallet (palm and no-palm), out-to-lunch, shogun, multiple outs, peeks and some clever loading and unloading features. On the DVD (which is in French and English) there are five particularly good routines included too. 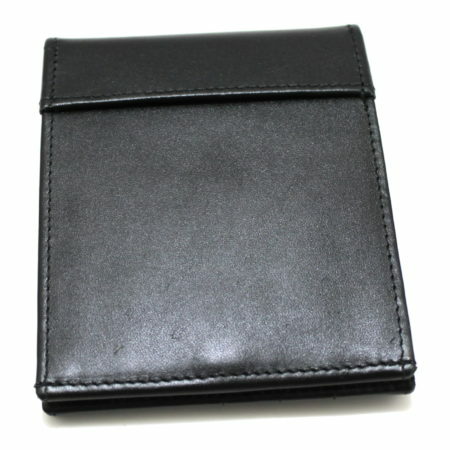 If you still have not found your “perfect” magic wallet, then this bad boy could be just what you have been waiting for. Card to Wallet – Plus by Viking Mfg.